In the past year and a half we have been taken over by the force that is Fortnite. It has become so powerful that all walks of life are now aware of the online game. You know it’s big time when my grandma is asking me, “what is this Forknight game all about.” I have come across so many articles discussing how it is shaping the upcoming generation of kids and they are becoming less and less likely to go outside. I’ve heard more of this from parents when they ask me what made me decide to embark on my AT thru- hike. They explain how they could never get their kids to put down the game long enough to go outside and do some sort of activity even remotely similar to that. But it’s simple, all you have to do is send your kids away to camp and change their lives forever. Learn how to be away from Mom and Dad earlier. This was one of the biggest things that I was able to take away from going off to camp every summer. Having some time away from my parents to explore my independence was amazing. The sad reality is you are not going to be able to keep your kids glued to your hip forever and in fact you are doing a disservice to them by doing so. There is going to come a time when they have to spread their wings and leave the nest and you want to do everything you can to prepare them for that day. I cannot tell you how many kids I met at college who were extremely sad or stressed out because it was their first time away from home. I felt very fortunate that my parents gave me this early opportunity to be on my own. To know what it was like to be on my own was very important for my growth. I don’t have kids so this is simply conjecture but I would imagine that it’s nice to spend some time with your significant other without the kids around so really it’s a win-win. This is coming from someone who is glued to their phone so, take this with a grain of salt. I think there is a lot be said for spending a significant amount of time without your phone, especially as a young kid. When I went to camp, we had to check our phone at the front office and we wouldn’t get it back until the end of the summer. This is a tall task given the fact that many of us are addicted to our phones. The parents who are pointing to their kids screen time usually aren’t innocent in the matter either but why not do something to combat the problem. Look I get it, it’s tough to give up your phone for the summer but what I can say is that it is a freeing experience. Having the spell lifted even if it’s just for a little bit is something that will benefit your children immensely. Many kids today use their phones as a crutch to avoid awkward encounters but what this will force them to do is step outside of their comfort zone and change bad habits. This will also help them learn what it means to make a friend without the help of technology. I have met some of my best friends from growing up and going to school together, but there is a lot you can gain from going to a place that you aren’t familiar with and having to meet new people. I had to learn to find commonalities outside of my friend zone with kids that I just met. At first I was bummed out that I was missing those daily trips to the pool but I grew so much because of friends that I met from all over the country. When I went to camp, I met people from places like Seattle, Chicago, Boston, Kansas City and even Hawaii. This helped me grow a lot because I had to make friends that didn’t have my same background and that is something that continues to serve me well as life goes on. A few years back, I was in Lawrence, Kansas for a wedding and was not exactly looking forward to it because I thought to myself “What is there to do in Kansas?”. Dorothy threw her house into a tornado just to get the heck out of Kansas. That’s when I remembered one of my close camp friends was from Kansas City and was attending Kansas University. During the weekend, I was able to meet up with him and he took me out on the town.We had great time and that would have never have been possible without my summer camp connection. There are plenty of things that we learn in school but are quick to forget. Some of the biggest things that I have learned and, in turn, applied to my life moving forward were life lessons that I got from camp. Without camp I wouldn’t have learned to pitch in and be a part of something bigger than myself. When we were out on our canoe trips I learned perseverance, there were countless times where I didn’t want to paddle but had to. I’m thankful that I was able learn perseverance early on because it has served me so well in so many aspects of my life. Another thing that I took away from camp was having to keep track of my things but if you talked to my mother she would say otherwise. Finally, just like I said above, making new friends in unfamiliar places is going to be something you can carry with you for the rest of your life and be better off because of it. All of these lessons were learned at “The School of Life” which, for me, was camp. Getting outside for crying out loud! Lastly but most importantly, just get them outside! I always think it’s funny when I see those commercials promoting that kids get at least an hour of play in each day. The only time we were inside at camp was during “quiet hour” where we were supposed to rest for an hour after lunch. (Umm, who do I talk to about getting that back? You really don’t appreciate what you have until it’s gone…) The only other time indoors was when it was time to call it a night. In the morning we were in archery, riflery, sailing, woodsmanship, athletics, plyometrics, indian dancing, and swimming classes outside. During the afternoon we’d play tackle capture the flag, softball, or football, again, all outside. Then on top of all the things we did on the island, we would go on wilderness trips for different amounts of time based on your age group. That allowed me to be able to canoe deep up into Canada and backpack in the Wind River Range in Wyoming. These experiences shaped me into what I am today and I’m forever grateful. You shouldn’t have to challenge your kid to play sixty minutes a day you should try to get them to sit down for only sixty minutes a day. I would have never had the tools and mindset to complete the entire Appalachian Trail without these experiences. 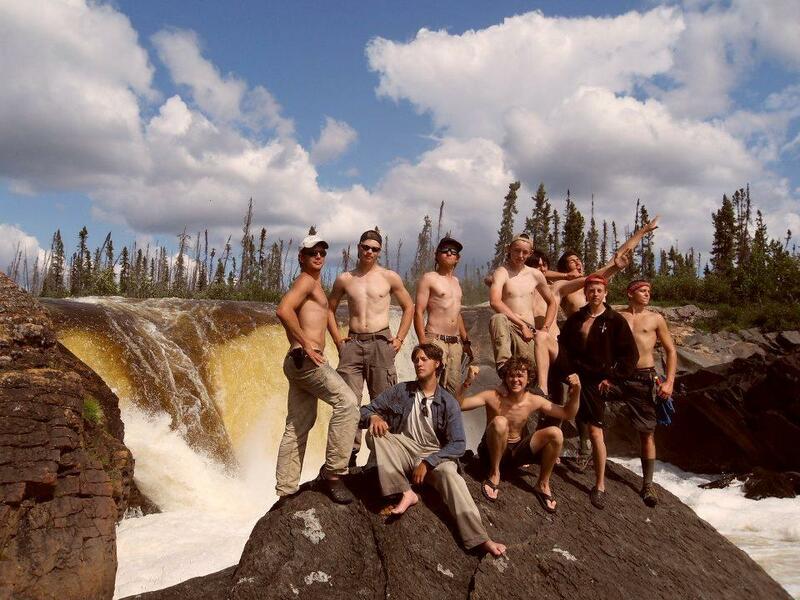 The camp I attended was a wilderness outdoor camp, however, there are all types of camps. I am quite sure the results are almost always the same. Just about every person I have ever met who went to camp has nothing but glowing memories of their childhood summers and that is all thanks to heading off to camp. If you need a couple of camp ideas I will say I’m biased. I attended Camp Kern as well as Camp Kooch-i-ching up in International Falls, MN. Their camp headquarters are located in Hyde Park, you can call the office to hear about presentations coming up in the near future.